When Kentucky guardsman Eva Slusher returned from her stateside deployment in 2004, she was welcomed home with news that she had lost custody of her daughter. A decade later, she finally has hope that no service member will ever have to go through that again. Tucked into this year's annual defense authorization bill passed by Congress late last week is a provision preventing state judges from using military deployments against troops in child custody cases. 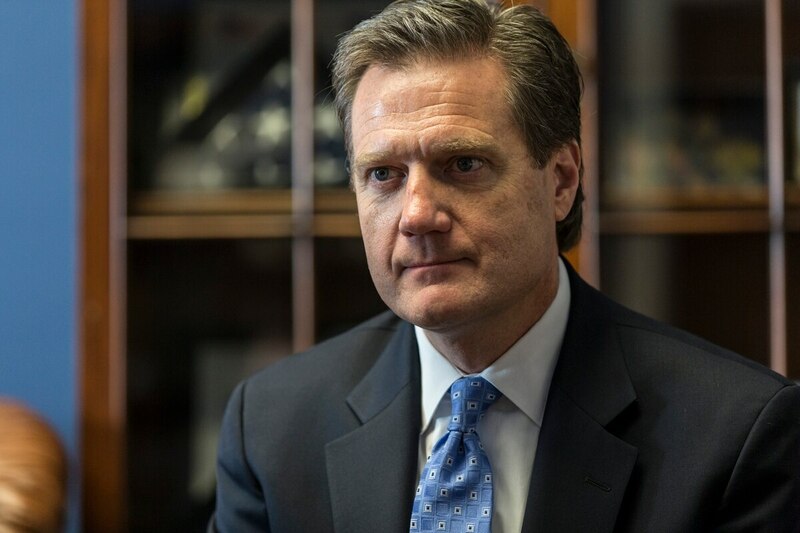 It's the culmination of an eight-year fight for Slusher and Rep. Mike Turner, R-Ohio, who both insist the change is needed to stop judges from using military service against troops in such court battles. "It's not that my military service wasn't taken into consideration, or that I didn't get some extra boost from my service," Slusher said. "I'm not looking to be hailed as a hero because I served my country. I'm looking for not being penalized for military service. A judge now can't say that the military lifestyle isn't conducive to raising children." The authorization bill and new rules are expected to be signed into law by President Obama in the next few days. The rules mandate that child custody cases cannot be altered during a parent's military deployment, and that any pre-deployment custody arrangements remain in place upon the parent's return. Exceptions can be made when the situation "goes against the best interest of the child," but Turner said too often judges with little familiarity with the military have ruled that the uncertain nature of military deployments — especially during the height of the Iraq and Afghanistan wars — made for a negative home environment in split families. "In the end, this is about making sure that (troops) don't serve at the expense of their families," he said. "They deserve to be protected." Slusher said she has been appalled for years that those protections aren't already in place. A decade ago, when her daughter Sara was only 10, then-Capt. Slusher was mobilized as part of the Kentucky National Guard. She worked out a temporary guardianship agreement with her ex-husband, to ensure he could take care of any medical or school issues. But upon her return, he challenged her custodial rights. A state judge made him primary guardian, citing Slusher's past and potential future military responsibilities. "I didn't realize there was even a possibility that could happen," she said. "I thought there wasn't a job in the country that would take my daughter away from me for serving in the military. There were laws that protected my job and my home, and my mortgage interest rates, and my cell phone contract (during deployment), but not my children?" Slusher waged a two-year legal fight that went all the way to the Kentucky Supreme Court to win back custody of Sara. Since then, she has pushed for a national law to prevent other service members from facing the same heartbreak. Turner called the changes "common sense" provisions, but they haven't been easy to shepherd through Congress. Versions of the measure have passed the House 12 times since 2007, most often as an amendment to the annual defense authorization bill. But Senate and Pentagon objections have repeatedly sidelined the changes. In the past, military leaders have pushed for states to voluntarily adopt their own regulations dealing with military custody issues, but Turner and Slusher said those efforts don't account for the transient nature of military life. A service member could have a child in one state, divorce in another and face custody hearings in a third, underscoring the need for a national standard on how to handle such scenarios. The next step will be educating troops and judges about the changes, Turner said. The former need to know about the new legal protections, and the latter need to adjust their bench rulings to make sure they aren't discriminating against people in uniform. For Slusher, her next step will be to step back temporarily from her lobbying work with Turner but still work with other military parents on fixing gaps in the law. "This is about having peace of mind," she said. "When you're deployed, there are so many things to deal with. Worrying about your kids shouldn't be one of them."